Daniel Barenboim ends his Bruckner cycle with the Ninth. Daniel Barenboim in action at Carnegie Hall. Photo by Steve J. Sherman. The first complete cycle of all nine numbered symphonies by Anton Bruckner came to its end on Sunday with a matinée concert featuring the composer's last work: the Symphony No. 9 in D minor. The project was the vision of conductor Daniel Barenboim, who led the Staatskapelle Berlin (as he has for the last 25 years) in all nine concerts at Carnegie Hall over eleven days. The Carnegie Hall Bruckner cycle reaches its climax. 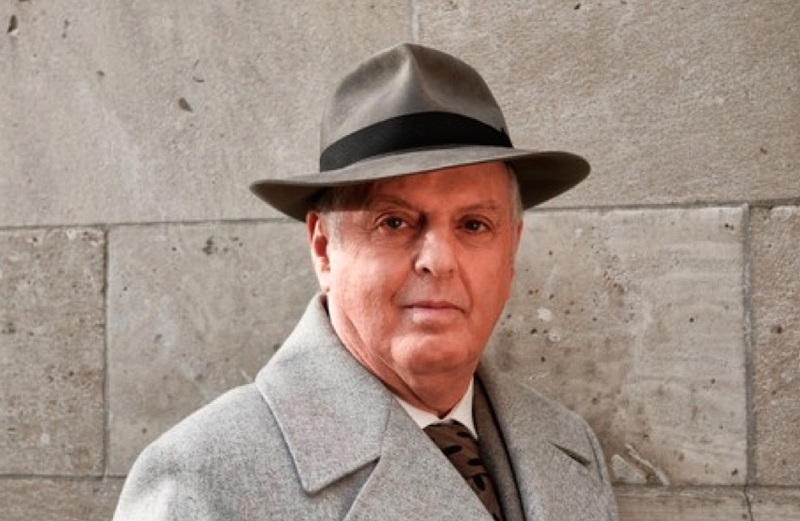 Your guide to Bruckner: Daniel Barenboim. This week, Daniel Barenboim and the Staatskapelle Berlin are wrapping up their epic cycle of nine Bruckner symphonies at Carnegie Hall. Friday's concert featured the Symphony No. 7 paired with Mozart's Sinfonia Concertante in E Flat Major. Saturday featured No. 8 all by itself: the longest work in the Bruckner catalogue and the most demanding of the listener's sense of faith: in both Bruckner himself and the ability to build enormous bridges of sound bulwarked by harmony and counterpoint. 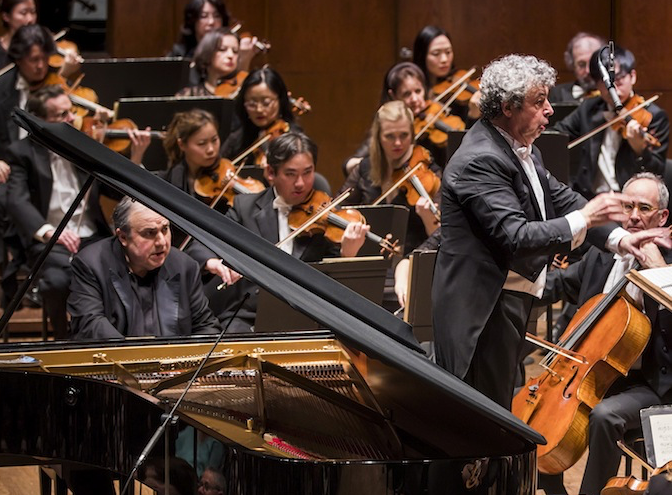 Semyon Bychkov opens the New York Philharmonic's Tchaikovsky Festival. 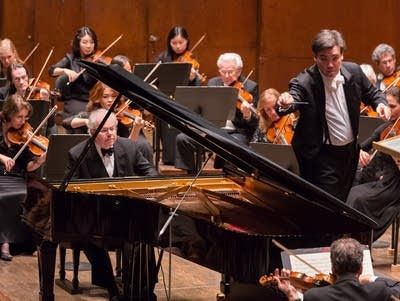 Pianist Yefim Bronfman, concertmaster Frank Huang (with violin) conductor Semyon Bychkov (standing) and cellist Carter Brey work through Tchaikovsky's Piano Concerto No. 2. Photo by Chris Lee © 2017 The New York Philharmonic. Piotr Ilyich Tchaikovsky is arguably the most popular composer to come out of Russia in the 19th century. His blend of traditional folk-like themes with Western classical structures remains appealing to the ear, and the unfettered Romantic sensitivity of his music makes him a box office draw. The New York Philharmonic chose him for the focus of this year's series of festival concerts, but in doing so may not have gotten what New Yorkers expect. 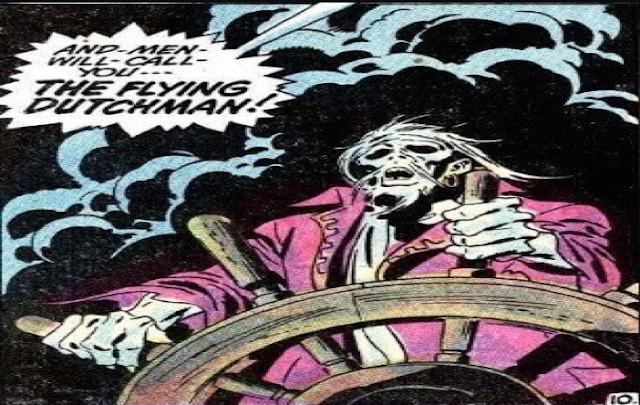 It's like The Little Mermaid but with more death. 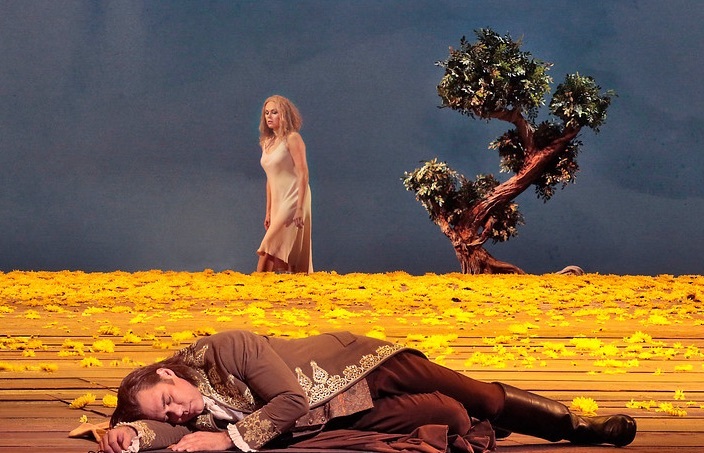 The sleeper must awaken: Kristin Opolais (rear) and Brandon Jovanovich (foreground) in Rusalka. The Met plunges into a new production of Dvořák's Rusalka, a Czech fairy tale with gorgeous music and a dark but oh-so-Romantic ending. Kristine Opolais sings the title role, which has become one of her signature parts in recent years. Daniel Barenboim and the Staatskapelle Berlin at Carnegie Hall. 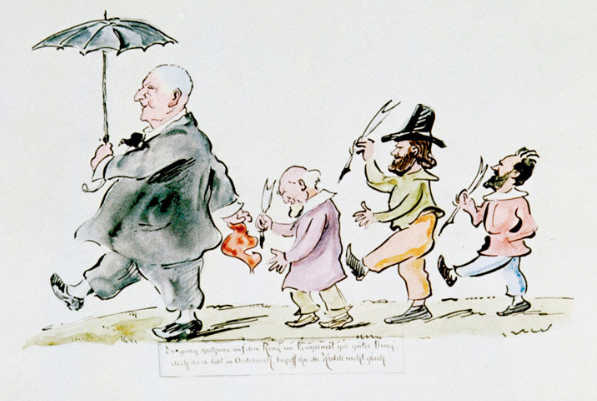 Bruckner (left) and his critics, Eduard Hanslick, Max Kalbeck and Richard Heuberge. At the end of its first week, the ongoing Carnegie Hall Bruckner marathon has moved into familiar territory this week, leaving behind the obscure early symphonies for works which, while not programmed with great frequency nonetheless show up regularly in the repertory of large symphony orchestras. Here it was the turn of the Symphony No. 6 (nicknamed "The Philosopher"), paired with Mozart's Piano Concerto No. 22, a genuine crowd-pleaser. 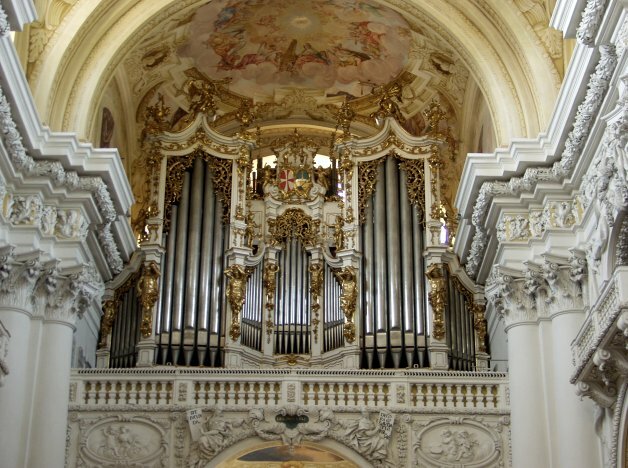 The Bruckner-Orgel in St. Florian, Linz, Austria, where composer Anton Bruckner was chief organist. It is also his final resting place. Photo by Greg Kraftschik for Wikipedia. What's going at Carnegie Hall this week is historic. Not only is this nine concert marathon of Bruckner's published symphonies (in order) the first of its kind at that historic institution, but this is the first so-called Bruckner cycle in the history of the United States. On Tuesday night. Daniel Barenboim and the Staatskapelle Berlin reached the midway point of their odyssey with the Symphony No. 5. The Carnegie Hall Brucknerthon continues with the Fourth. Quiet please: Daniel Barenboim leads the unquiet symphonies of Anton Bruckner at Carnegie Hall. Photo © 2012 The BBC Proms courtesy Warner Brothers Classics. Some composers take longer to find success than others. Consider if you will the case of one Joseph Anton Bruckner, whose remarkable odyssey from humble monastery organist to world-beating symphonist remains one of the most endearing and bizarre music stories from 19th century Austria. 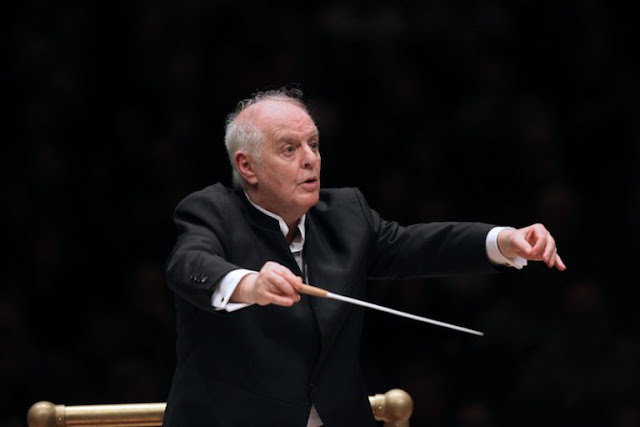 On Monday night, Daniel Barenboim and the Staatskapelle Berlin played the fourth concert in their nine-part voyage through Bruckner's symphonic output at Carnegie Hall, with a roof-raising performance of the Symphony No. 4. The New York Philharmonic goes all-in on the Russian romantic. 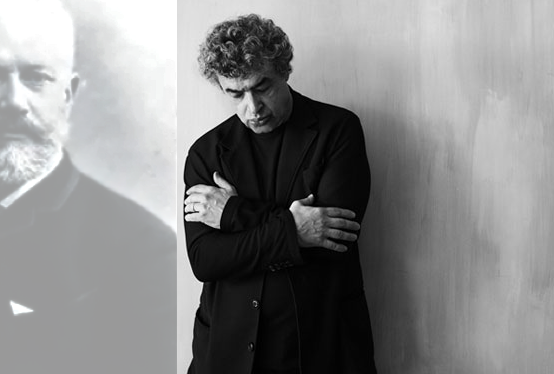 Semyon Bychkov and friend. Original promotional photograph © 2016 Decca Classics. Piotr Ilyich Tchaikovsky died in 1893, but earned immortality, remaining far and away the most popular Russian composer of the 19th century. Starting this Thursday, his life and legacy are the subject of a new festival at the New York Philharmonic, Beloved Friend: Tchaikovsky and his World. The festival continues for three weeks, bringing the warmth and passion of his music to the stage of David Geffen Hall and other venues. Tickets and information are available here. 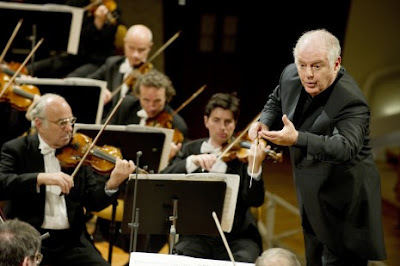 Daniel Barenboim and the Staatskapelle Berlin play Mozart and Bruckner. 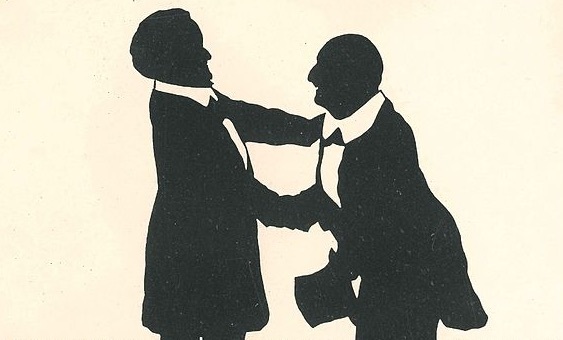 Richard Wagner (left) greets Anton Bruckner in Bayreuth in 1873. Silhouette by Dr. Otto Böhler from Wikipedia Commons. The nine-concert Carnegie Hall marathon featuring conductor Daniel Barenboim and the Staatskapelle Berlin reached its first milestone on Saturday night. This concert, the third in the series and the last of the opening triptych featured Mr. Barenboim leading his forces in Mozart's Piano Concerto No. 24, paired with the Symphony No. 3 of Anton Bruckner. This symphony bears the nickname "Wagner." It was one of two works that Bruckner brought to Bayreuth on an 1873 visit, where he and Richard Wagner discussed music over many a pint of beer. The Staatskapelle Berlin takes on the Bruckner Second. 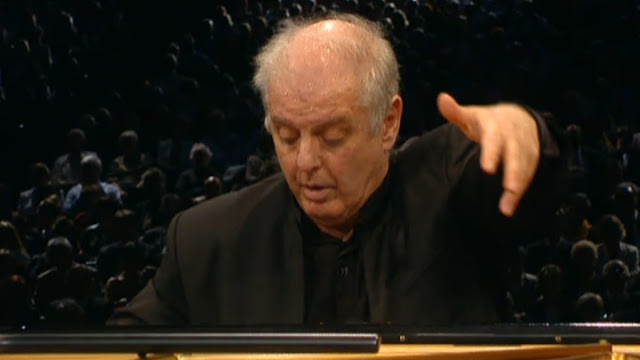 Leading from the piano: Daniel Barenboim. Photo © 2017 Staatskapelle Berlin. When he was 14 years old, the conductor and pianist Daniel Barenboim made his Carnegie Hall debut on January 20, 1957, playing the Prokofiev Piano Concerto No. 1 with the Symphony of the Air under the baton of the legendary Leopold Stokowski. 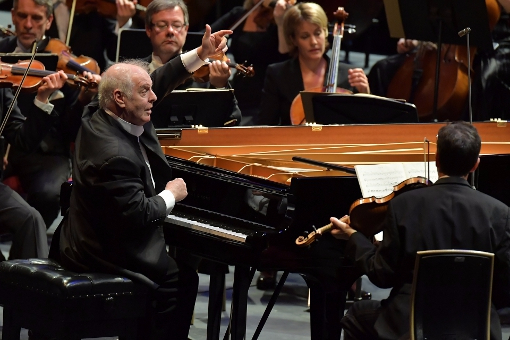 Last night, Mr. Barenboim, now 74, celebrated the 60th anniversary of that occasion with the Staatskapelle Berlin, bringing Mozart's Piano Concerto No. 20 and Anton Bruckner’s Symphony No. 2 to that hallowed stage. The Bruckner marathon begins at Carnegie Hall. Daniel Barenboim and the Berlin Staatskapelle. Photo © 2016 by Chris Christodolou. One might argue that it is difficult to break new ground in classical music, but inventive conductors somehow find a way. On Thursday night, conductor and pianist Daniel Barenboim opened the first complete cycle of Bruckner symphonies in the history of Carnegie Hall, with that composer's Symphony No. 1 paired with Mozart's Piano Concerto No. 27. Javier Camarena closes the book on Il Barbiere di Siviglia. 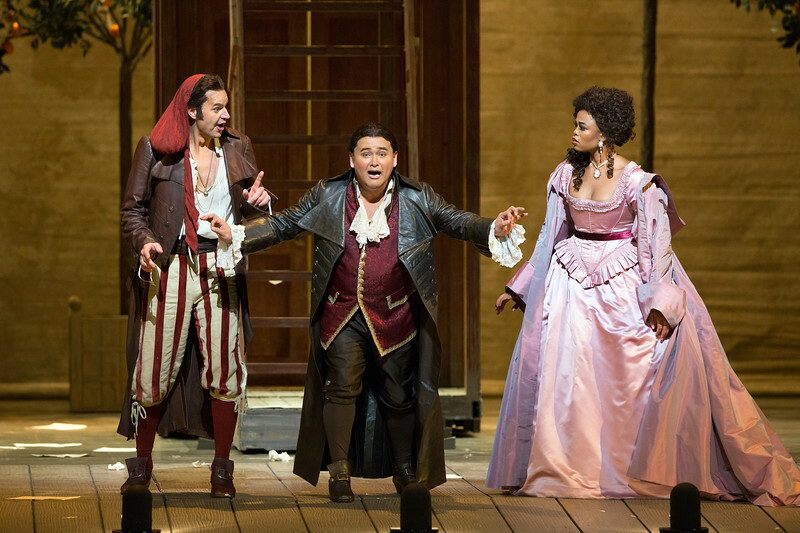 The cast of Il barbiere di Siviglia clown it up in Act II of Rossini's masterpiece. There's a reason some operas never go away. 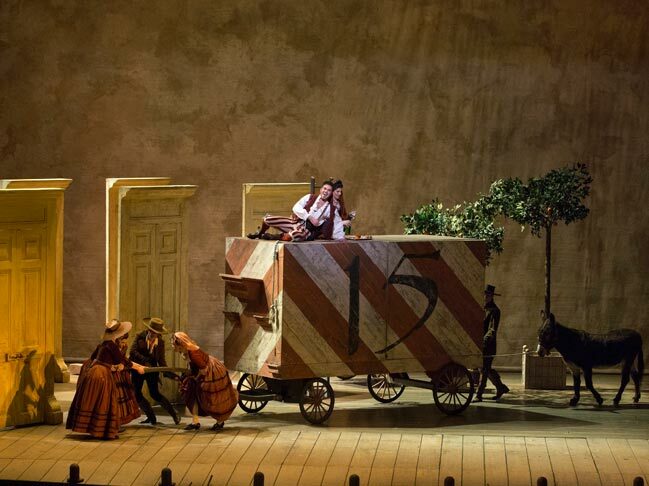 Take Rossini's Il Barbiere di Siviglia, which is on the verge of celebrating 201 in the standard repertory this year. 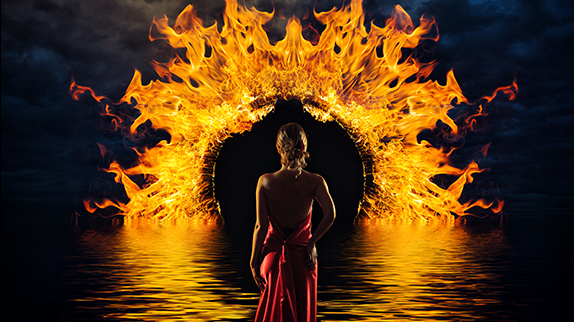 This month, the Metropolitan Opera's revival boasts an extraordinary cast, with Peter Maffei in the title role, soprano Pretty Yende as Rosina and tenor Javier Camarena, singing his final run as Count Almaviva before moving on to other repertory. All three stars shone at Wednesday night's performance, occupying their roles seamlessly in the company's flimsy but entertaining production by director Bartlett Sher. The Met's new Roméo et Juliette is handsome but unnecessary. 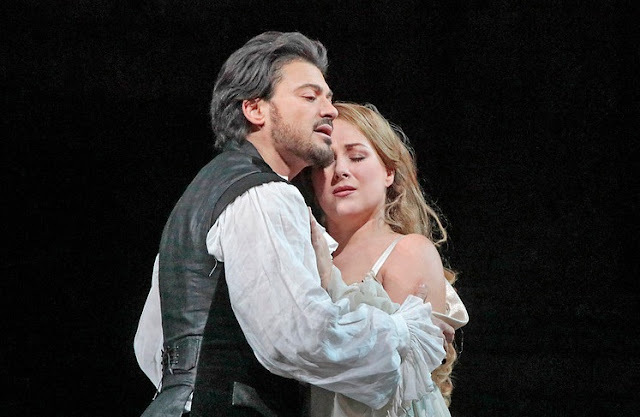 Star-crossed and Bible black: Vittorio Grigolo and Diana Damrau are Roméo et Juliette. In Second Empire France, the libretto-writing team of Julies Barbier and Michael Carré were the go-to guys for adapting great literature for the operatic stage. They set Faust (for Charles Gounod) and Hamlet (for Ambroise Thomas) with questionable results. However, their cut-down Roméo et Juliette (with music by Gounod) remains one of their definite successes. At the Metropolitan Opera of the 21st century, Bartlett Sher serves much the same function. On Wednesday night, Peter Gelb's director of choice was once more at the helm of this new production of Romeo et Juliette, his seventh show at the Met. 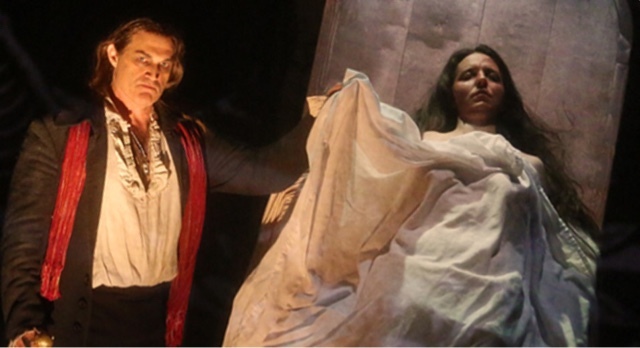 Mozart’s final opera continues to thrill audiences and befuddle theater directors. 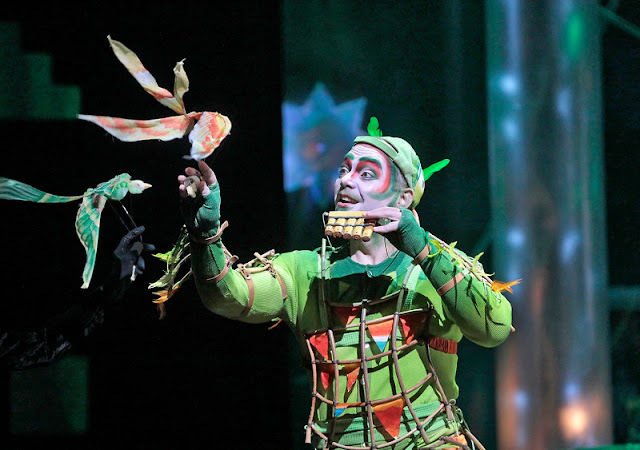 Christopher Maltman as Papageno in the Metropolitan Opera production of Die Zauberflöte. The first question one should ask when staging or attending a performance of Die Zauberflöte is this: Is Mozart’s final opera a coded Masonic message, a serious opera, or a knockabout comedy meant for the audience of an 18th century music hall? The answer is, yes, it’s all three. 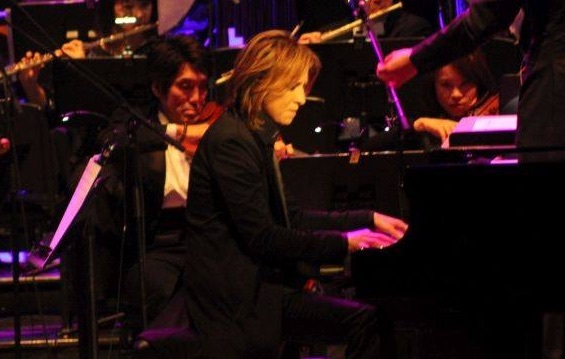 The Yoshiki Classical Special comes to Carnegie Hall. The pianist Yoshiki in concert at Carnegie Hall. Photo by Ken Pierce © 2017 Piercing Metal. Yoshiki is the leader of X Japan, one of the biggest hard rock bands in the history of his native land. On Thursday and Friday last week, the drummer, pianist and composer brought his softer side to two concerts at Carnegie Hall/ And on Friday night, the aptly named Yoshiki Classical Special was filmed for international broadcast. The concert featured Yoshiki at the piano, backed by the Tokyo Philharmonic Orchestra. The flamboyant pianist struck an heroic figure on the stage, but was polite and even soft-spoken with his fans, who listened to three hours of vocal and instrumental works, most of them featuring his skills at the piano. The New York City Opera bets the farm on Candide. Bernstein comedy. Photo by Sarah Shartz © 2017 The New York City Opera. In 1982, the legendary Broadway director Hal Prince mounted Leonard Bernstein’s Candide at the New York City Opera. That show did much to salvage the reputation of the composer's most problematic stage work. Candide first came to life as a Broadway musical. It bombed, was rewritten (with a new libretto) and rebuilt an operetta with slight plot differences. The Prince solution was to present a sort of hybrid, a revised, two-act comedy that filtered Voltaire's cynicism through Bernstein's gift for a good tune supported by musical references to most of the major opera composers that had come before. Alan Gilbert takes in the challenges of Beethoven and Brahms. 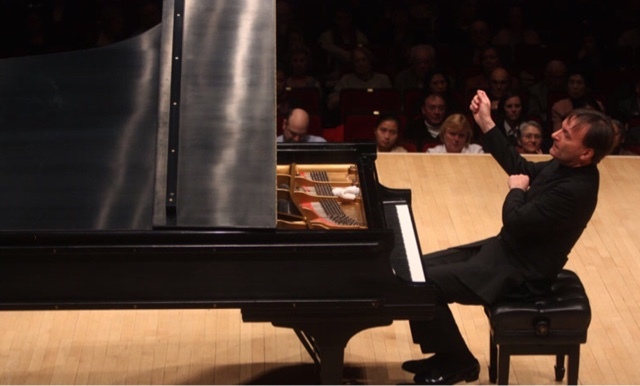 The pianist Stephen Hough joined the Mew York Philharmonic this week. In his time at the helm of the New York Philharmonic, music director Alam Gilbert has left a legacy of innovation and a commitment to modernity. However, his performances of warhorses by both Beethoven and Brahms have brought middling or muddled results. On Wednesday night, Mr. Gilbert got another chance to test his mettle with this music, leading the former’s Piano Concerto No. 5 ("Emperor") and the latter's Third Symphony at David Geffen Hall. David Lang goes for the gut (literally) with anatomy theater. a tender moment in anatomy theater. Photo by Craig T. Mathew amd James Matthew Daniel.. It started with beer and sausage. On arriving at the downtown Brooklyn space BRIC, I checked my coat and was directed to the blacked-out "surgeon's lounge" for tankards of Brooklyn Lager and the aforementioned wurst, served on hard rolls slathered with mustard by pretty, in character serving-girls. Then a funeral drum beat its merciless tattoo and the waitresses turned savage. Breaking the Waves sails into New York. 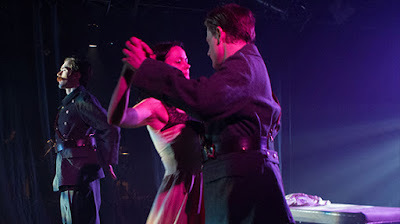 Jan (John Moore) and Bess (Kiera Duffy) go to the altar in the first act of Breaking the Waves. Photo by Dominic M. Mercier © 2016 Opera Philadelphia. The Danish filmmaker Lars von Trier is a master of human misery, exploring the depths of men and women in a four decade career. His 1996 film Breaking the Waves is the inspiration for the opera of the same name by composer Missy Mazzoli. First mounted last fall at Opera Philadelphia, Waves is the centerpiece of the 2017 PROTOTYPE Festival, celebrating contemporary opera here in New York City. It is the second opera based on von Trier's "Golden Heart Trilogy", following Selma Jezková, which composer Poul Ruders based on Dancer in the Dark. The Prototype Festival stages Mata Hari. Dancing undercover: Tina Miller (center) in a scene from Mata Hari. Photo by Benjamin Heller © 2017 HERE and the Prototype Festival. Margaretha Geertruida Zelle MacLeod, known to history as "Mata Hari", is an ideal subject for opera. And now, thanks to the Prototype Festival, she is. Friday night marked the second New York performance of Mata Hari, created by the team of composer Matt Marks and Paul Peers and kicking off this January celebration of modern operatic works. The New York Philharmonic premieres H.K. Gruber's Piano Concerto. Emanuel Ax (left) Alan Gilbert (right) and the New York Philharmonic. It's a new year at the New York Philharmonic, and the orchestra has wasted no time giving the first big premiere of 2017. Thursday night's concert featured the world premiere of a Piano Concerto by Austrian composer H.K. Gruber, with frequent visitor Emanuel Ax at the piano and music director Alan Gilbert back in his familiar place on the podium. Daniel Barenboim and the Berlin Staatskapelle at Carnegie Hall. 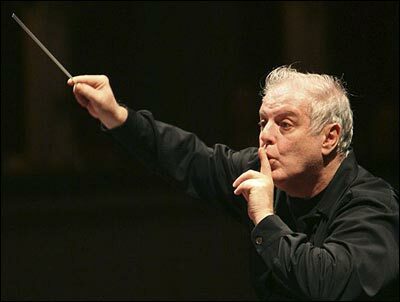 Daniel Barenboim conducts the Berlin Staatskapelle. Photo © 2016 Accentus Music and the Berlin Staatskapelle. On January 19, conductor Daniel Barenboim ends a four-year absence from Carnegie Hall with a first for that historic venue. He will lead the Berlin Staatskapelle in a cycle of nine numbered symphonies by Anton Bruckner and major piano concertos by Wolfgang Amadeus Mozart. Femme fatales, infidelity, gross anatomy and yes...opera! of avant-garde opera at the fifth annual Prototype Festival. Image © 2017 Prototype Festival. 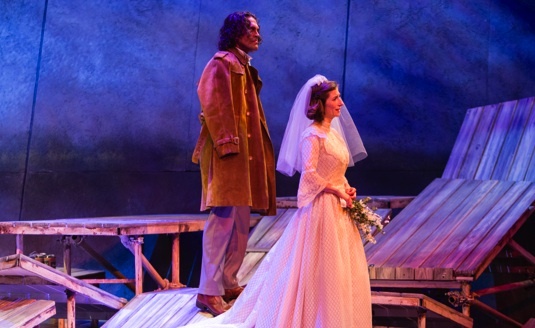 New York's celebration of avant-garde opera in the dead of winter returns for its fifth season with the eagerly awaited New York premiere of Breaking The Waves as the marquee event. There are six new works being performed, plus one being workshopped. In addition, the Festival offers pop-up concerts, music, dance, multimedia presentations and the odd swanky soirée. Rossini's comic brilliance lights up the Met stage...again. Figaro (on cart) makes his grand entrance in Act I of Il Barbiere di Siviglia. The Met brings joy and warmth into the middle of winter with this January 2017 revival of Il Barbiere di Siviglia. This version of the opera is sung in Italian and presented without cuts.